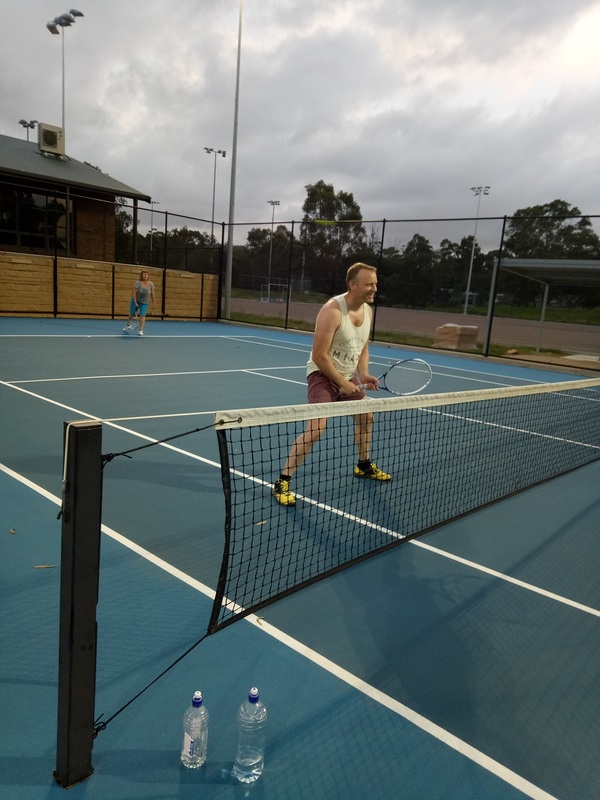 Term 3 Night Tennis – Register Now!! 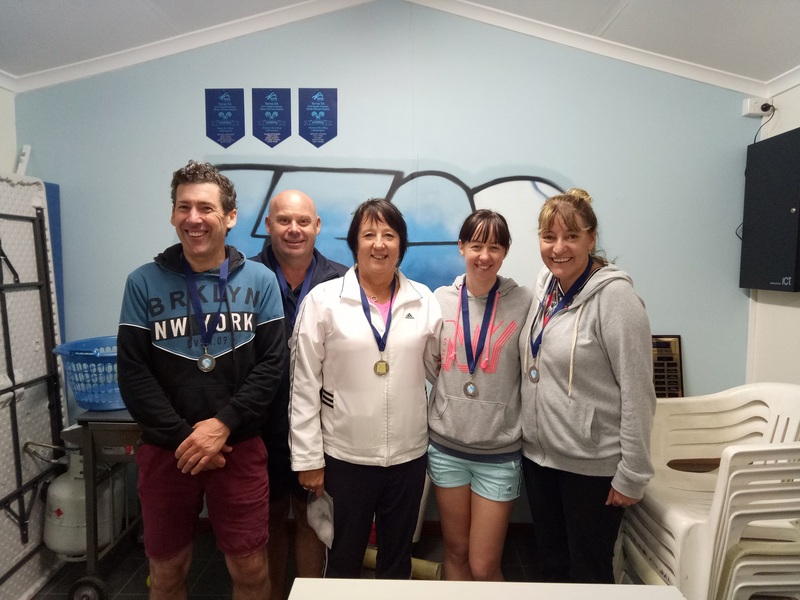 Registrations are now open for players to play in the Term 3 Night Tennis Competition at Littlehampton. CLICK HERE to add your name to play Tuesday nights. Contact Jo Casey for further information – joandeug@bigpond.com. Register before 5pm Monday 16th July to be part of the fun! Rob is a passionate tennis coach who teaches the modern game but with a touch of old fashioned aggression. He believes in giving your best, concentrating and being a good sport. Behaviour is a priority to good tennis as is learning correct technique from the beginning. Rob is offering private and squad coaching and red, orange and green levels in Hot Shots. To enrol in coaching or Hot Shots click on the links on the coaching and Hot Shots pages. 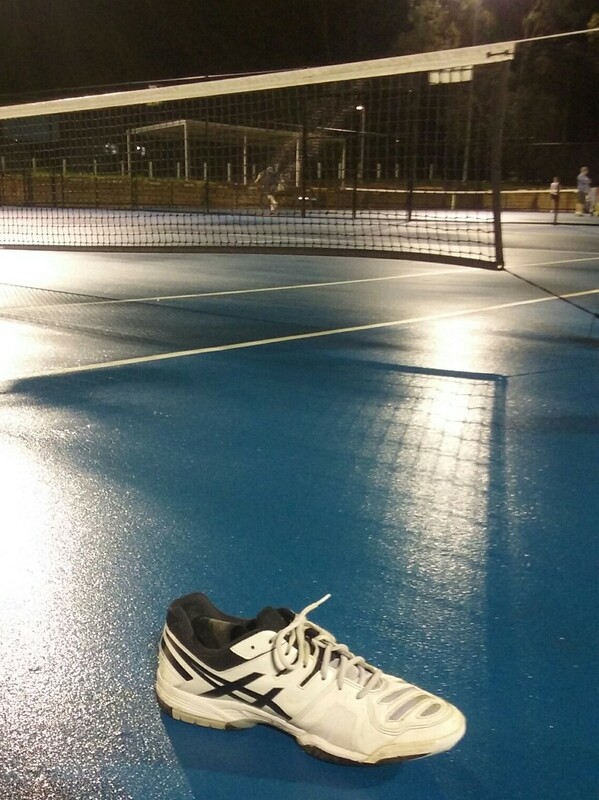 Autumn Night Tennis starts soon! 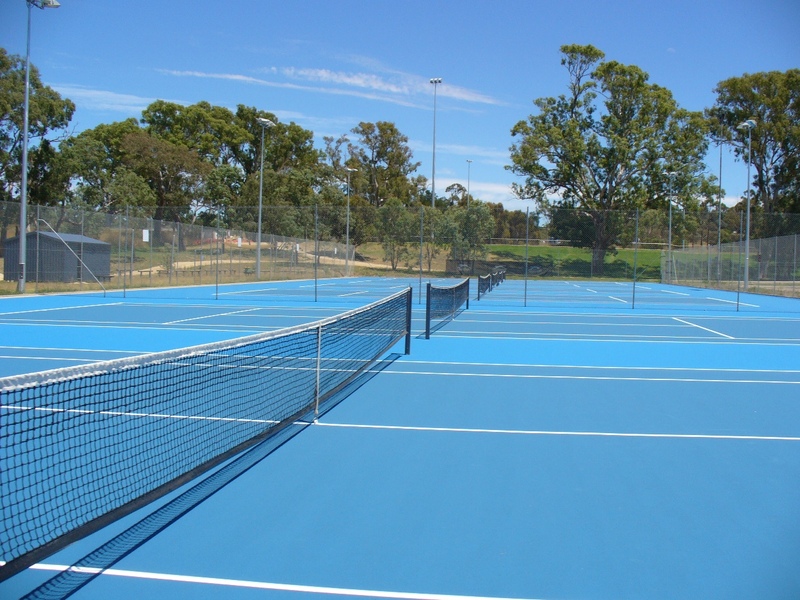 If you would like to play Night Tennis at Littlehampton TC, please click the link below to register. 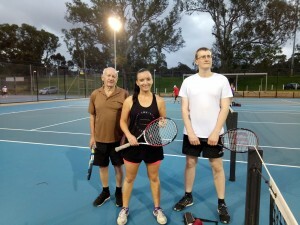 This is a social, yet competitive adult based competition played on a Tuesday night at 7.00pm. 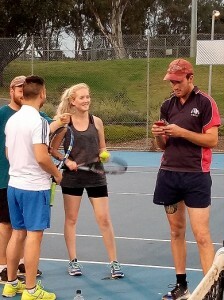 Three sets of doubles are played with different team mates. 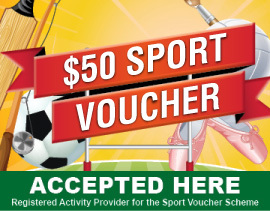 $65 to play the 10 week season, with a discount for early payment. See our Night Tennis page for further information. Registrations close strictly at 5.00pm on Tuesday 17th April, with competition beginning on 1st May. Register now to secure your spot! Places limited to 60 players. 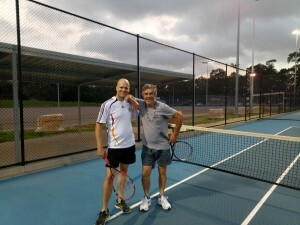 Summer Night Tennis – how about it? 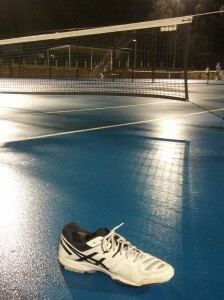 The Summer season of Night Tennis with the Club starts on the 30th January and runs through to the 3rd April. 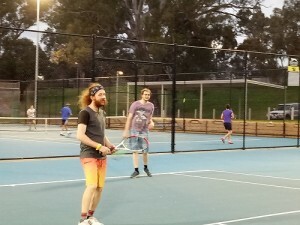 For more information about Night Tennis click here. Places are filling fast, so if you’re keen to sign up REGISTER HERE! 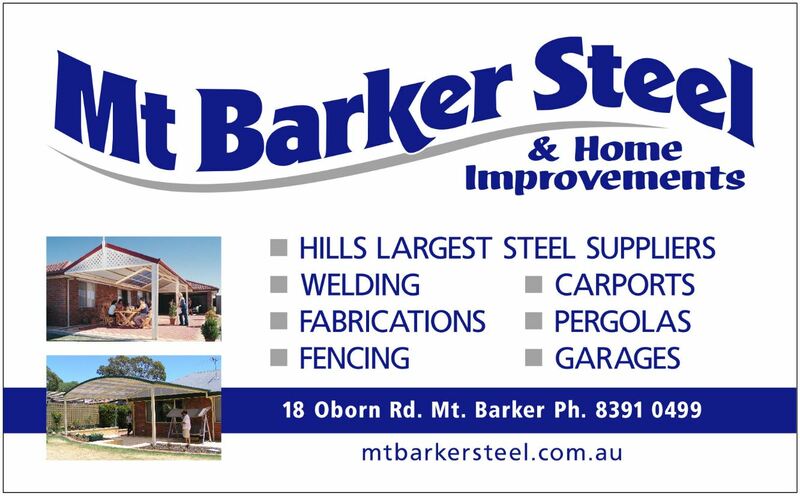 Registrations close Sunday 14th January – no extensions! For more information, contact nighttennis@littlehamptontennisclub.com.au. 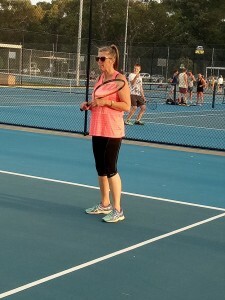 Spring Night Tennis Wraps Up! What a fun time we’ve all had out at Night Tennis this Spring. We had 2 Divisions running this season, with the Finals Night being played on the 19th December. Some players got into the spirit of things with various Christmas themed accessories and outfits. 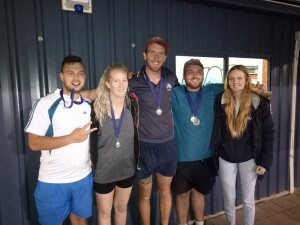 Div 2 Premiers this season were the Labradoodles – Captain James L, April P, Matt P, Shaun C and injured player Alice P (team pictured below). Well done team!! Well done also to Shaun who received the Best Stats Award for Division 2. 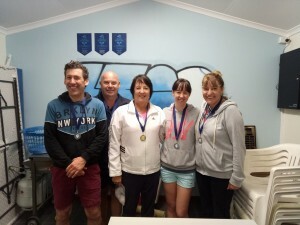 Runners up in this division were the English Sheepdogs – Sandra W, Michael D, Vic Z, with absent team members Richard C and Caryn K not being able to make the final. Many thanks to James H who filled the gap for the team! The Div 1 comp was very strong this season. The final was very close indeed, with the Border Collies (Eric H, Robyn H, Mary Y, Amy P and Bill P, pictured below) sneaking ahead by just 3 games at the end of the night, to runners up Siberian Huskies – Josh W, Mal M, Anna D, Andrew M and Jackie M. Great game guys! Best Stats Award for Div 1 went to Robyn H. You go girl! 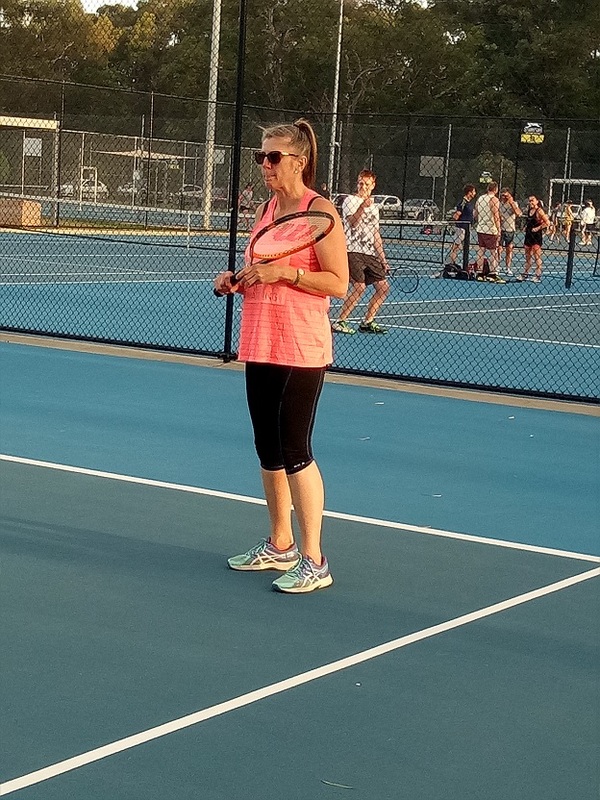 A special BIG BIG thank you to the lovely Chris Geue (seen below) who has again assisted me with putting teams together, opening up courts, packing up at the end of the night, and acting as a second set of ears to help me make decisions – Chris I love you being my Deputy! 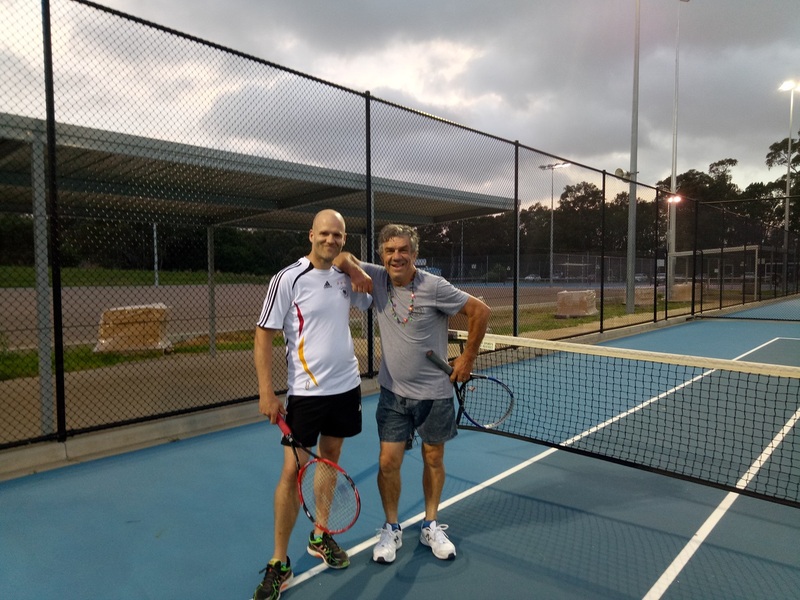 Here’s a few more photos of the fun, frivolities and friendship that was had at the Spring Night Tennis Finals. 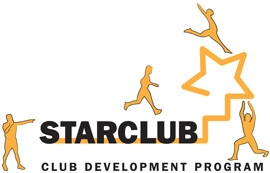 If you are interested in signing up for our Summer Season CLICK HERE to register. The new season commences early February and registrations will be open until the middle of January. Places limited to 60 people. Happy hitting, and see ya back on the court! 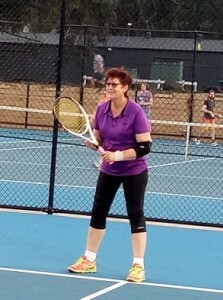 Jo Casey, Night Tennis Coordinator, Littlehampton Tennis Club. Want something to keep the kids occupied during the January school holidays? Feel free to mix and match the sessions as you please! You can book into all 3 sessions on one day or a mixture of single, double or triple sessions throughout the week! The bulk session prices will be applied per booking (not per child). So if you are booking 2 kids in for 5 sessions each (10 sessions total), the cost will be $80 for the two kids. Please note that the sessions and days will be subject to minimum enrollment numbers being met. 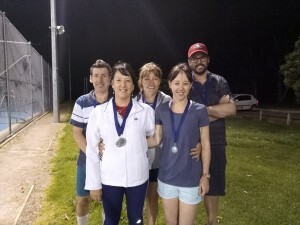 Spring Night Tennis – Registrations closing soon! 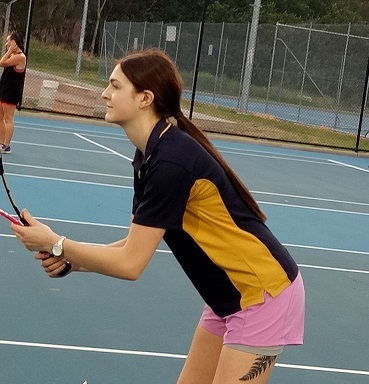 The Spring/Term 4 Night Tennis Competition kicks off on Tuesday 17th October. Registrations close next Monday 2nd October at 5.00pm. The competition is limited to 60 players, and we already have 48 signed up. If you’d like to play competitive tennis in a very social environment, check out the Night Tennis Page for more information. Register Here if you know you want to be a part of it all…..